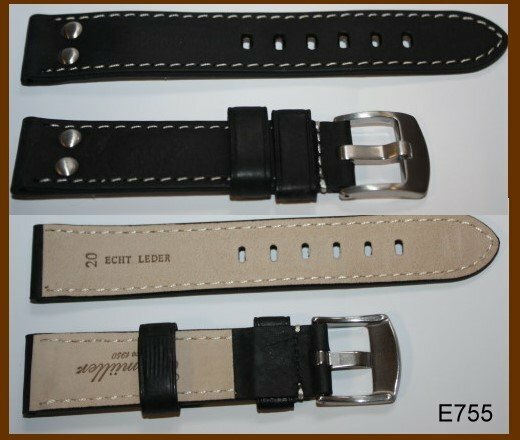 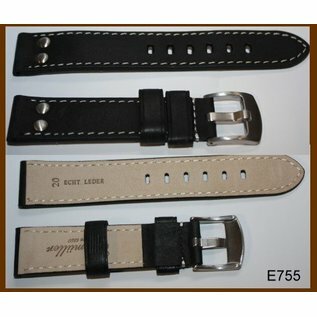 Very robust bracelet made of buffalo leather, suitable for pilot watches and chronographs with 24mm wide band stop. 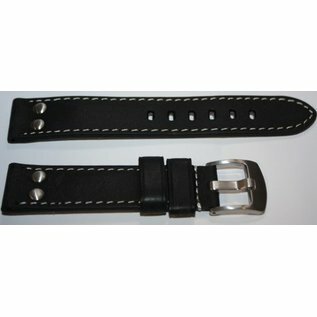 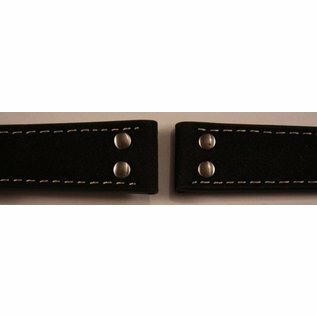 Robust, black band with seam wise in excellent quality. 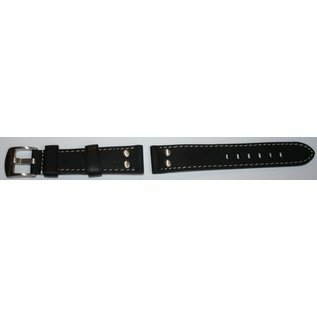 At the end of the web with steel rivets and a sturdy stainless steel buckle. 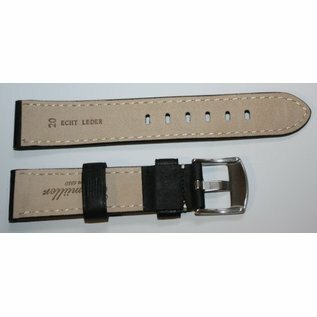 Suitable for aviation watches or chronograph as well as classic watches.